Analysis of the parishes of Grasmere and Windermere from the 1841 census. The book is free but please donate if you can. 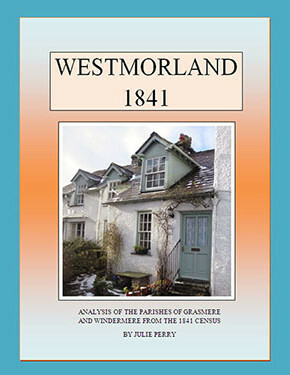 This book looks at the 1841 census in Westmorland. I have covered the parishes of Grasmere and Windermere totalling 4,200 people with 203 pages including 26 maps, 46 photographs and numerous census entries. I have described topics like bobbin manufacture , the yeoman farmer, the slate industry and early tourism. Each chapter has an occupational directory for each chapelry or township along with place name and surname lists. It is fully indexed with a bibliography.Grasmere parish is divided into Grasmere township, Langdales and Rydal and Loughrigg. 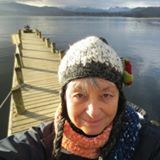 Ambleside has a chapter to itself although it sits in both Grasmere and Windermere parishes. Windermere parish is split into Applethwaite, Undermillbeck (north and south of Ferry Nab) and Troutbeck. The photographs show some of the homes and workplaces that still exist today. The front cover photograph is of the Rattle Gill area of Ambleside. A wealth of information and great value. Well structured and very interesting. It gave me a great overall view of Westmorland in 1841. In all it provides an easily accessible overview of the two parishes and should be of interest to those with family connections as well as to members studying the local and social history of Westmorland. I am a keen family and local historian and over the last 30 years have accrued a lot of information. I worked in public libraries for nearly 20 years and my time in Blackpool local studies department started me on my family history trail. My mothers roots are in Westmorland around Shap, Windermere, Troutbeck and Kendal. I particularly enjoyed delving into the census as it showed everyday life in an area where my ancestors lived and worked. This is how I came to put this e-book together with help from my partner Roger who showed me patiently how to master microsoft word. Special thanks to Rog and also to my son Tim who made this website for me. Any questions or problems with purchases please don’t hesitate to contact me. If you are interested in a hard copy of the book use the links above to contact me and I will get in touch. I have a few black and white paperback copies left priced at £10 plus p&p. As well as the e-book I have compiled additional content to complement the book. All right reserved www.westmorland-history.co.uk 2018.